Crude oil recently took a huge hit in the stock market this month, down by 6% in oil futures market. This effects heating oil customers in Massachusetts and we hope to show why this matters to you. Overall U.S. oil costs have been lower than what you have been used to paying for it over the past decade. Down to under $50 per barrel, and crude oil is at its lowest cost since the Y2K scare of overpriced goods in the new millennium. What does this mean for the cost of oil to heat your home? You should enjoy it at this low price now while you can. It is predicted that heating your home during the cold season will cost in five years just like it did during the Bush administration of the 2000’s. The challenge of depletion, geographic distribution of the production of crude oil, and laws on exports will affect prices for years to come. Every time you turn on the heat in your home, you may cringe at turning up the thermostat a few notches because you know it’s going to cost you more. In economic terms, laws of supply and demand affect pricing, in which the higher the demand and usage, the lower the price becomes. Other environmental elements will also reflect in the price of crude & petroleum oil beyond our country’s control. According to the U.S Energy Information Administration, America was producing an average of just over 5000 barrels per month, which stagnated the pricing around $70 per barrel. Since 2011, oil production per month has increased by almost 100% (YOY) and has reached a peak at just over 9000 barrels since December 2014. We have reached a tipping point in which the supply exceeds the demand, thus lowering the price of barrels to be sold. The spot price of both petroleum and crude oil have gone down exponentially, at its lowest since the Clinton administration. This forecast chart from Knoema shows how the price will rise based on demand from 2015 to 2025. Signing up for auto home delivery from Bigelow can help you keep pricing down as they continue to fluctuate in the market. This will be beneficial to you in the long-term because you will have continual service and we are offering a discount for first time delivery customers. It is important to get to know your installation technicians to educate you on your oil, who can educate you on ways to conserve your oil. The total comfort plan will reduce the cost of maintenance to help you prepare to conserve more oil. 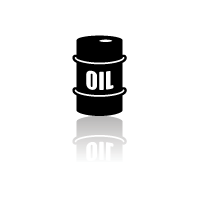 There are many benefits of using heating oil delivery for your home or office. One being that you have a predictive schedule that will refill your tank at ¼ so you can wait until you are truly ready to buy your oil. Other benefits include discounts on maintenance for your A/C unit as well. Oil pricing charts predict that crude oil is expected to continue its low cost for the rest of this year. What have you done to combat the increased pricing in past years? And how did you deal with conserving your home’s oil this past winter? Tell us your thoughts in the comments below.